Adult edition of the award-winning Career Choices! 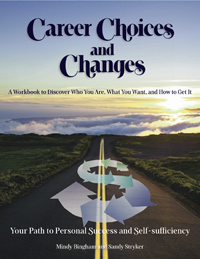 Career Choices & Changes is also a valuable resource -- a personal career counselor, even -- when used outside the classroom by individuals searching for a new sense of what is possible in their lives. For more information on using this book in your own life, visit http://www.mindysbooks.com.